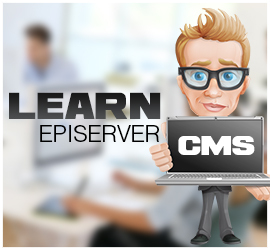 This article is a continuation of Top Tips To Get An Existing Episerver Project Up And Running. Often when I start at a new company, I won't have a log-in to get access to Episerver and I'm left to my own devices to get started. In today's guide, I'm going to cover some of the things you can do to get access to the editor. 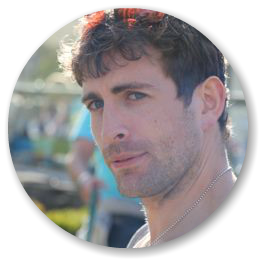 In this post, I'm assuming you are familiar with logging into Episerver. If you're not, then I would recommend reading, Beginner’s Guide: How To Access The Episerver Login Page first. Out of the box, Episerver uses the Multiplexing Provider to deal with membership and logging in. If you are not familiar with the multiplexing provider use Windows Authentication, then fall back to SQL to try and log you in. The SQL provider is based on the standard.NET version and the log-in usernames can be found in the 'aspnet_Users' table in SQL. To log into Episerver with the multiplexing provider enabled, you can try your domain account. Your account will need local Admin privileges, so depending on how your IT department has set-up your account, this may or may not work. If your account doesn't work, if you can create a local user account on your computer that has local administrators group permissions. This should allow you to log into Episerver. In a lot of companies, the membership provider is set to SQL only, so unless you know a valid Episerver account you won't be able to access it. If you find yourself in this situation then the first trick is to check the roles and membership provider and switch both to Multiplexing. In your web.config, find the following section and change the 'defaultProvider' MultiplexingRoleProvider for the role provider and MultiplexingMembershipProvider' for the membership provider. Now try running the page by using 'www.website.com/InstallUser.aspx'. If it runs correctly, you should now have a user in your database called 'episerver' with the password 'episerver' who is an admin. The only main difference is changing the deny all users, to allow all users. This should allow accessing edit and admin mode without authentication. I've bumped into a few issues with this historically with caching and temp internet files, so you may need to restart visual studio, or, your machine. This generally will always work. NOTE: You will run into the below error when you set Epi in this mode. This request has probably been tampered with. Close the browser and try again. The Sneaky Way... HACK SQL! Changing User, password, password salt and password format to the details you got from above. After running this, both user account will have the same password. So you should now be able to log into EpiServer with an admin account. Can not upload an image file in EPiServer? EPiServer 7 : Are you getting a ClientResources\ClientResources\packages.config error when logging in ? EPiServer 7 : The trust relationship between the primary domain and the trusted domain failed. EPiServer 7.5 Visual Studio Warning : Where has the episerver.config and EPiServerFramework.config gone? Help! 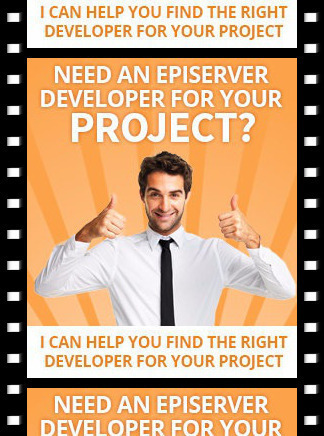 We keep adding new projects to our solution and accidentally keep upgrading Episerver!